The index opened down around 8535 and saw huge volatile moves as RBI governor came out with no change policy. The index got subdued and moved in a narrow range of 20-25 points and closed at 8524.70, loss of 31.20 points. The broader market though was also positive, with 821 advances to 705 declines. Range has narrowed down to 8300-8700. Call option 8500-8900 added huge 22.87 lacs OI with profit booking seen at 9000 strike price. Put option 8500-8100 added huge 12.70 lacs OI with short covering seen at 8600 and above strike prices. 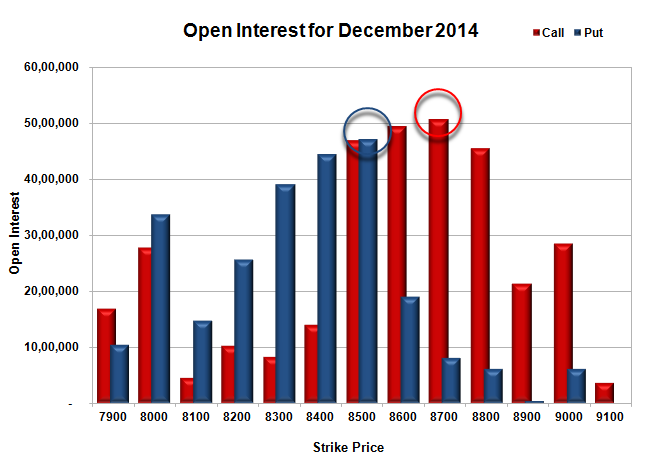 Nifty Open Interest is at 2,13,95,900 down by 5,50,950, with decrease in price, probably huge long liquidation. Bank Nifty Open Interest is at 18,60,625 up by 1,12,525, with small increase in price, probably long build-up. FII’s sold huge 13.88 lacs Futures, which includes 52947 contracts long liquidation and 2578 contracts short build-up, with decrease in net OI by 50369 contracts (includes 55983 longs to 111508 shorts for the day) and the Average Price comes to 8733.09. 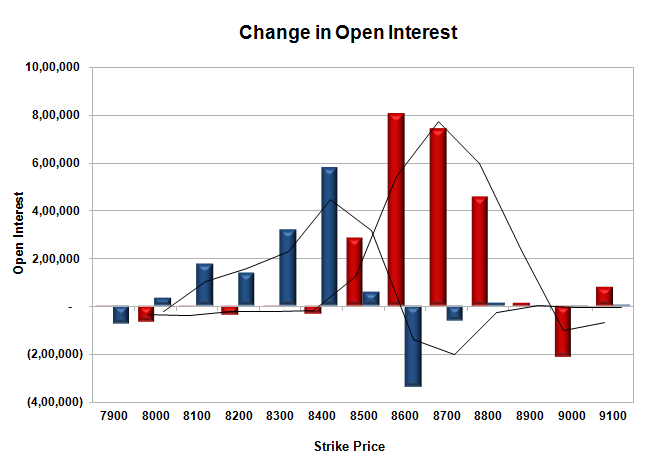 FII’s Index future open contract as on date is 670373 Longs to 60300 Shorts, net long 610073 down by 55525 contracts. Initial and best support still at 8500, with OI of 47.15 lacs and below that at 8400 with OI of 44.42 lacs. Initial resistance at 8600, with OI of 49.87 lacs and above that at 8700 with highest OI of 50.65 lacs. 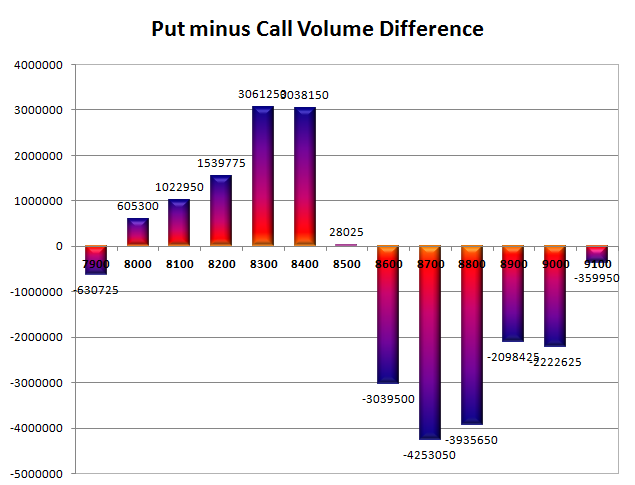 Day Range as per Option Table is 8471 - 8584 and as per VIX is 8469 - 8580 with 8530 as the Pivot.